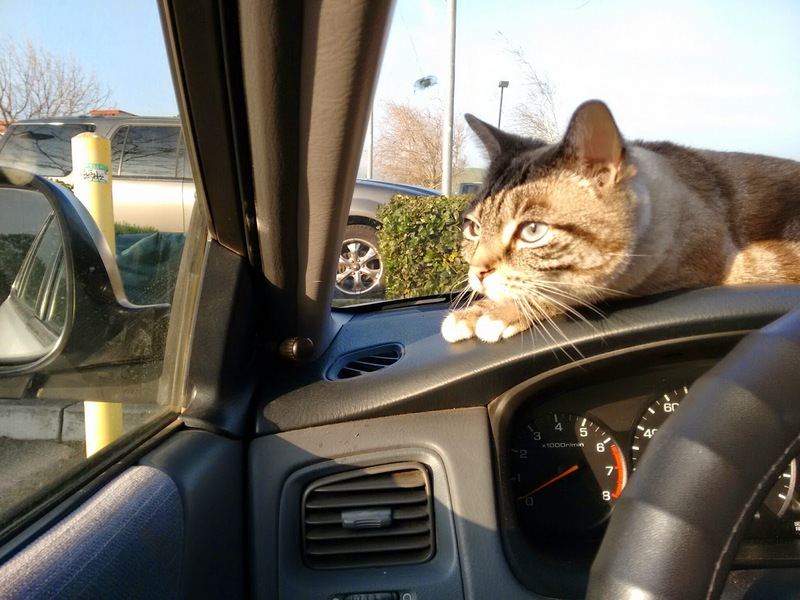 Shell likes cars about as much as she likes water, so she's enjoying a vacation in Palm Desert for the duration of our road trip. 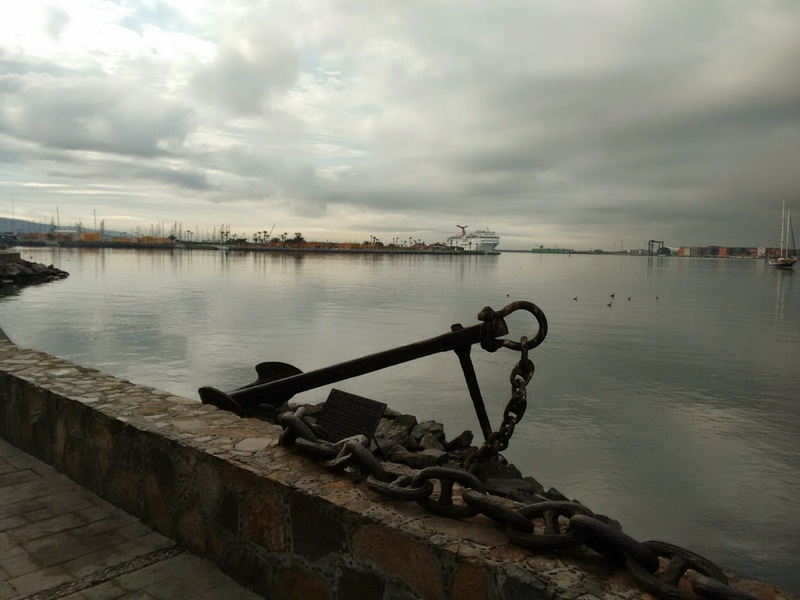 Kathy had a business meeting in San Diego, so we didn't get to the Tijuana border until 4PM, less than ideal if you want to avoid driving in the dark. Stay in the right lane passing through the cameras and scanners and then hang a hard right into the parking lot'ish area. It will feel like you are turning the wrong way on to a one way street, but go with it. From here continue on foot. Back toward the border and find the immigration office within the larger blue and white SAT building. You can pay your ~$20USD fee and complete all necessary paperwork here for up to a 180 day stay in Mexico. Bank and ATM and Immgration are all in the same building complex. 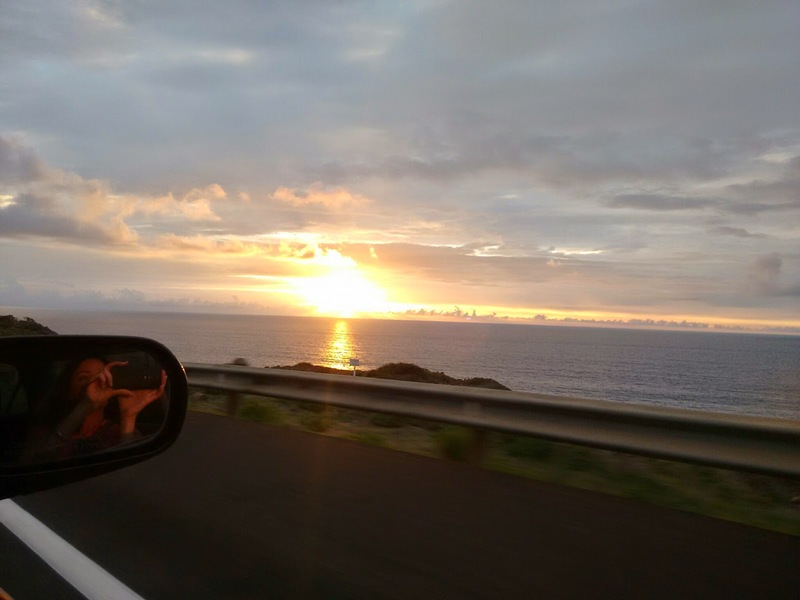 Navigating through Tijuana was easy, just follow the signs for highway 1 toward the Rosarito and you'll soon be on the super nice 'Cuota' toll road. 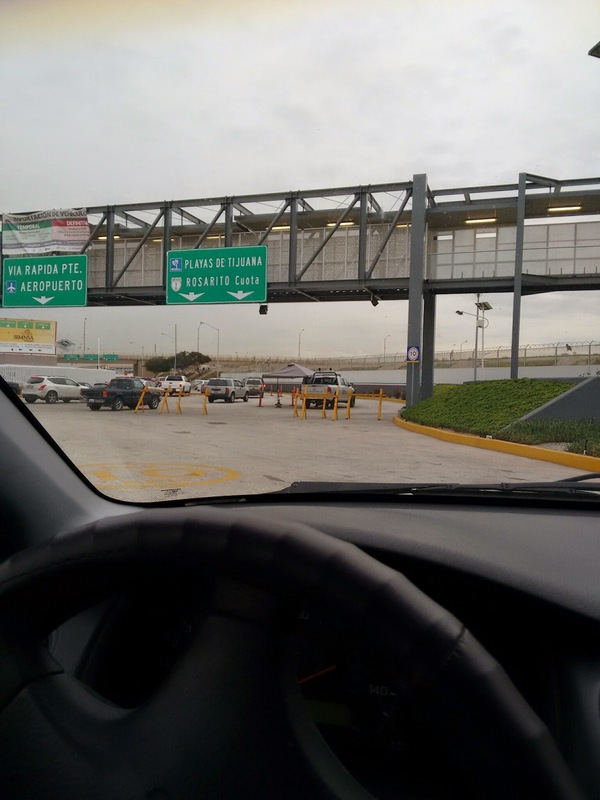 The toll road is 22 pesos or $2.20USD. With the exchange rate approaching 15MXN per USD, paying in pesos is a much better deal. There are at least 3 toll booths enroute to Ensenada... maybe it was 4. We encountered very little traffic on the smooth and fast toll road and average 70+. 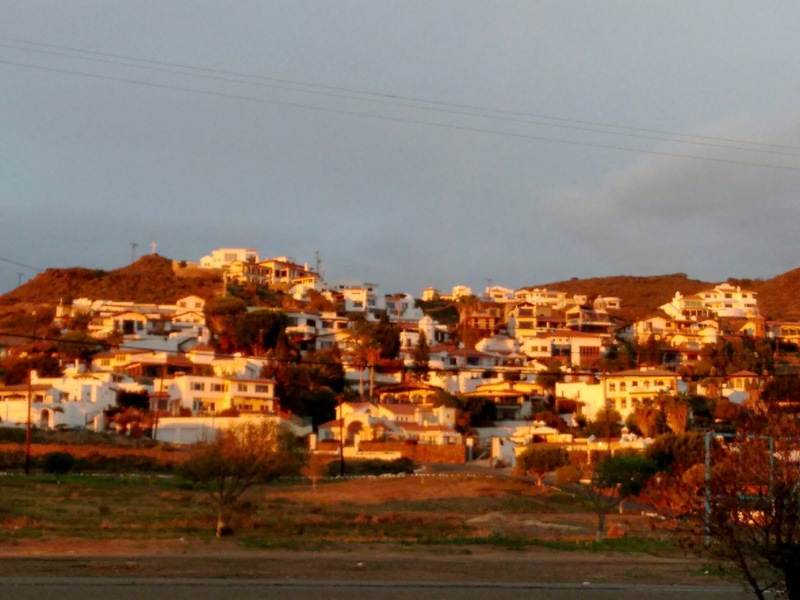 Village along the TJ-Ensenada toll road. Stormy clouds on the horizon were soon to bring rain. 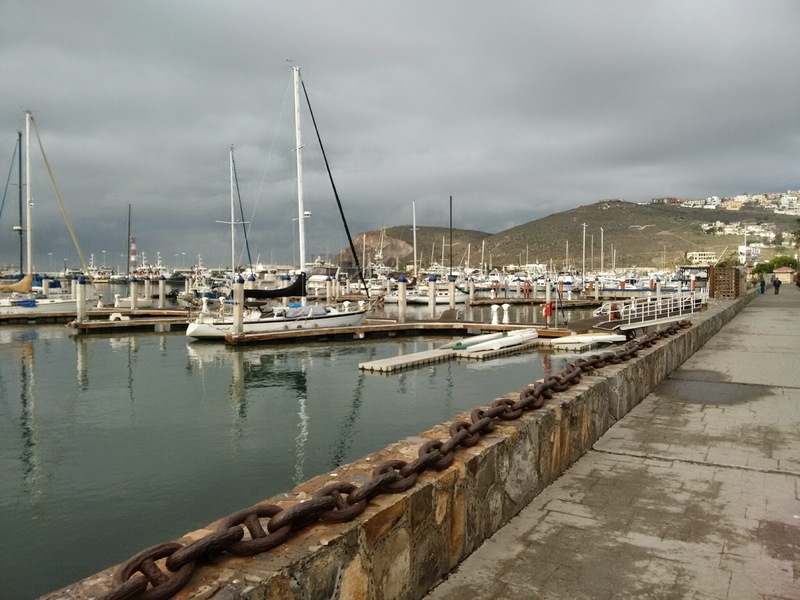 Arriving in Ensenada in pouring rain after dark was less than perfect. Especially since we did zero, zip, nada in the way of planning or reservations. We had yet to get a SIM card for our smart phone, so we couldn't even 'as Google' for hotel recommendations or directions. How to find a hotel in a new city after dark? Drive to the tallest building with a restaurant on the top go to the sky lounge grab a beer and some free WIFI and relax while you evaluate your lodging options. From the 11th floor of the Marina Villa hotel we spotted a few hotels of interest, sure we could have just booked directly into the Villa Marina hotel, but who want to stay in a 11 story hotel when we could stay somewhere with a bit more character. 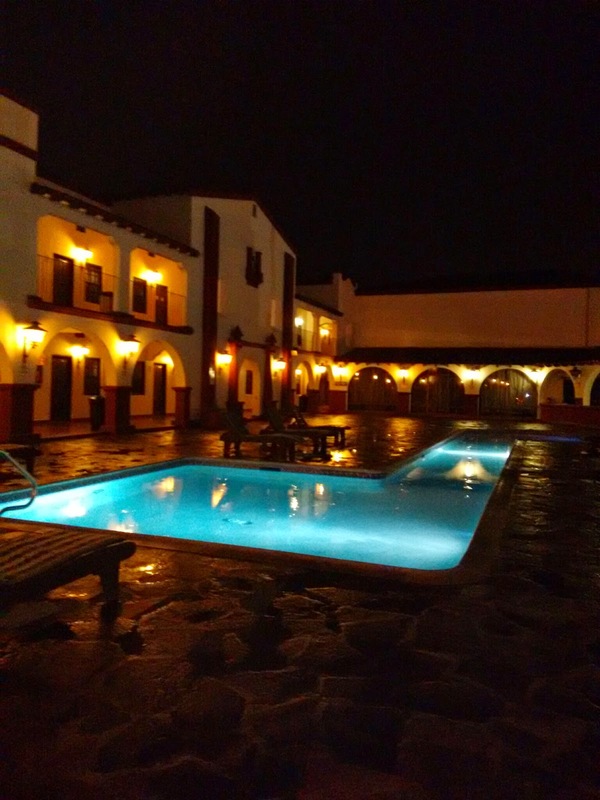 We decided on Mision Santa Isabel for $715MXN as we like the traditional architecture and central court yard pool. The room was rustic at best, but consistent with our desire to visit the Baja and not some 'improved' American version of Mexico. After a nice chat with the hotel clerk we got settled in our room and then headed out to find some dinner. Along the way we came across the '101' wine bar with 101 Mexico only wines by the glass. Great service and great wine. 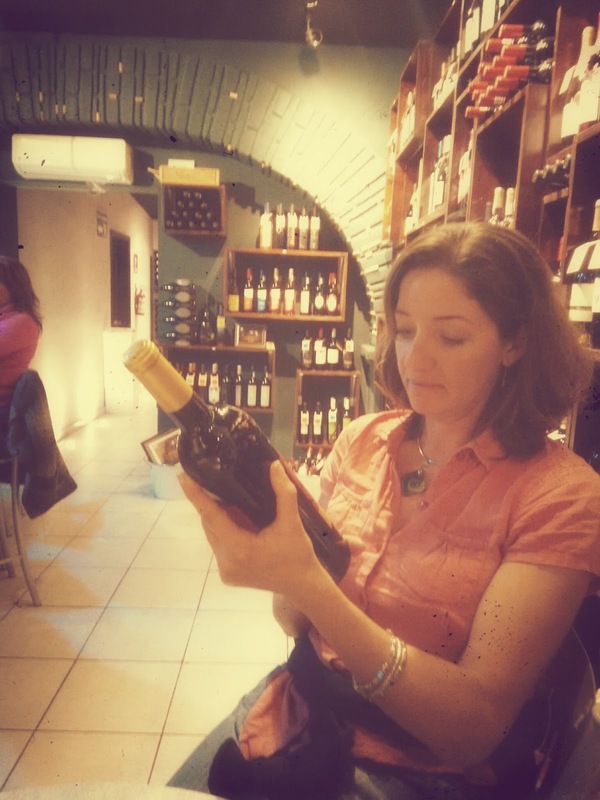 After tasting a few wines we agreed the tempranillo a good varietal for the Baja and we enjoyed a 2011 bottle of Ovis. The adjoining Italian restaurant owned by the same family served up some tasty pizza delivered to our table in the wine bar and we made it an early night. Cruise ship heading in to Ensenda, time to get going.